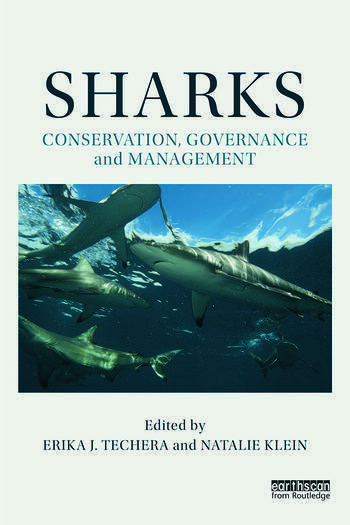 The key aim of this book is to explore the global conservation and management of sharks. There has been a rapid decline in populations of many shark species, while new science has emerged of the critical role they play in marine ecosystems. However, the authors show that conservation law and policy have been slow to develop, with only a small number of iconic species being protected worldwide. The increase in fishing impact – primarily through shark finning and by-catch - has led to shark conservation receiving greater international attention in recent years. The book explores our current knowledge and status of the law and science in relation to sharks with a particular focus on improving frameworks for their conservation and management. Recent trends are analysed, including shark finning bans that have been put in place in several countries, the widening number of nations establishing shark sanctuaries and the growth of shark-based tourism. The efficacy of current listing processes for endangered species and fisheries regulations is also examined. Tourism is explored as an alternative to fishing and the risks and impacts associated with this industry are analysed. Contributors include leading authorities from universities and conservation organizations in North America, Europe and Australia. A common theme is to emphasise the importance of collaborative governance between various interest groups and the need for inter-disciplinary research and management approaches that are necessary to address the decline in sharks. Erika Techera is a Professor in the Faculty of Law at the University of Western Australia. Natalie Klein is a Professor at the Macquarie Law School, Macquarie University, Australia.